As many as one million Americans live with Parkinson’s disease, which is more than the number of people diagnosed with multiple sclerosis, muscular dystrophy, and Lou Gehrig’s disease combined. Although there is no known cure or cause of this disease, recent research has uncovered some encouraging evidence that provides us with more insight into the disease and how to treat it. Due to the complexity of Parkinson’s disease, the cause has yet to be elucidated. However, we do know that it results from a complex interplay between genetic and environmental factors that affect numerous cell processes. In general, most of the issues that are experienced by people with Parkinson’s disease seem to be caused by nerve cell damage and cell death as a result of mitochondrial dysfunction and oxidative damage. More specifically, the mitochondrial dysfunction and oxidative damage cause the deterioration of dopamine-producing cells in the substantia nigra, a part of the brain that plays a vital role in reward-seeking behavior and movement. The disease is usually diagnosed once the first motor symptoms are noticed (e.g., tremors, muscular rigidity, and the reduction in the speed of movement). As the disease advances (10 or more years later), the non-motor symptoms become more troublesome than the motor symptoms as the patient’s cognitive function and will to live deteriorate. However, not every patient follows the same course after they are diagnosed. There is a great variability between patients in the progression of the disease. The one consistency between patients is that the current drugs available to treat Parkinson’s disease lose their effectiveness over time and can cause undesirable side effects. Because of the complexity and uncertainty of the disease and inadequacy of drug treatments, we need an approach that addresses many of the causative factors of the Parkinson’s disease at once. Treating one symptom at a time with different drugs have proven ineffective at slowing the disease. This is why researchers are adapting their efforts toward studying the effects that the ketogenic diet has on the brain, especially after the positive impact that it has had on patients with epilepsy and Alzheimer’s disease. One of the first studies that provided validity to the idea that the ketogenic diet can help with Parkinson’s disease was a study conducted on mice treated with MPTP. MPTP is a toxin that specifically targets the neurons involved in Parkinson’s disease, leading to neuronal damage and symptoms that mimic the disease. To test the effects of the ketogenic diet, the scientists fed the mice with “Parkinson’s disease” the ketogenic diet and looked at what it did to their brains. They found that the ketogenic diet was protective against the damage done by MPTP and reduced inflammation in the relevant areas of the brain. To confirm that these positive effects are transferable to humans, the scientists decided to put the diet to the test in Parkinson’s disease patients. In this study, seven patients with the disease volunteered to follow a ketogenic diet for 28 days at home. Only 5 out of the 7 completed the 28 days, but the results showed a positive impact on many common Parkinson’s disease symptoms. This included a reduction in resting tremors and rigidity and improved balance, gait, mood, and energy levels. Although this is a very promising study, it is too small of a sample size to assume that everyone affected by the disease will get the same benefits. Also, the diet that they prescribed to the patients might have been too strict. The ketogenic diet that the subjects of the study followed consisted of 90% of calories as fat, 2% from carbohydrates and 8% from protein. Perhaps, a less restrictive ketogenic diet would’ve been easier for the patients to adhere to and still lead to positive results. Another study with a less strict dietary approach was also conducted. The subjects of the study followed a 4:1 ketogenic diet for 28 days, which consisted of 4 grams of fat for every one gram of protein and carbs combined. The most compliant patients reported mean ketone concentrations of 6.6 mmol/L (ranging between 4.8 – 8.9 mmol/L). Two of the patients did not follow the diet as strictly, but they still reported ketone levels ranging from 1.13 – 1.56 mmol/L. However, the ketone levels didn’t seem to matter as long as the subjects were in ketosis. After analyzing the data, the researchers found that all participants reported improvements in their Parkinson’s disease scores independent of how high their ketones levels were raised. From this study and the studies carried out on epilepsy, we can see that even a slight increase in ketone bodies can help relieve neurological symptoms. Many case studies of Parkinson’s patients who implemented the ketogenic diet have also found the same phenomenon to be true. Regardless of how strict the ketogenic diet is, it seems that restricting carbs and increasing the brain’s ketone usage provides therapeutic benefits for people that have Parkinson’s disease. These studies, however, leave a crucial question unanswered: How does the keto diet stack up against other potentially healthy dietary approaches? With the scarcity of data comparing keto to other diets in Parkinson’s Disease, it is difficult to tell if the diets promising effects are a direct result of ketosis and carb restriction or if there is another responsible mechanism. Fortunately, a 2018 study published in Movement Disorders provides us with the first high-quality data we can use to decipher the benefits specific to the keto diet. So, Is keto the key to Parkinson’s improvement or can we get the same results from following a diet that is healthier than the average westernized diet? Let’s take a closer look at this study to find out. A Ruled.me Keto Diet vs. a Low-fat, Higher Fiber Diet for Parkinson’s Disease: Does Ketosis Really Help? In this randomized controlled trial, 47 patients were selected and 38 of them completed the 8-week dietary protocol. 20 of the patients who completed the study were on the low-fat diet, and 18 followed the keto diet. Each diet plan was designed to provide similar calorie and protein content. The primary differences between the two diets were in carb, fat, and fiber content. However, this was not a controlled feeding trial where every piece of food was measured precisely before consumption, so it is highly unlikely that the subjects ate the recommended amount. The study followed a more realistic dietary change protocol including 4‐week diet plans including weekly shopping lists, daily menus, and simple, satisfying recipes. Along with the diet plan, each subject received tips on how to stay on the diet and troubleshoot common issues. To help them craft a legitimate keto diet plan that is both satisfying and healthy, the researchers reached out to us, and we provided them with some of our most popular Ruled.me keto recipes and other diet tips, which they used as the basis for their keto diet meal plan. 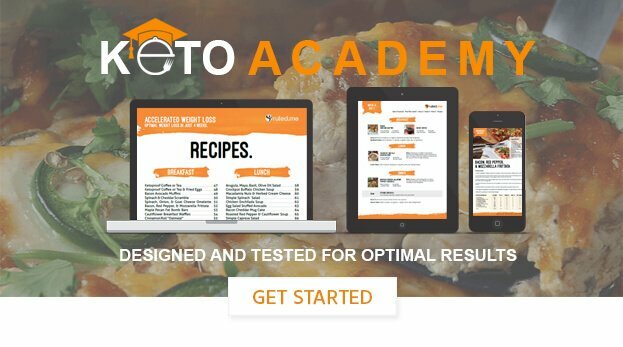 In essence, the researchers created an abridged version of our Keto Academy for their Parkinson’s disease patients. If you’d like to take a look at the keto meal plan and information that each subject received, follow this link. The researchers also provided regular support and education sessions. Both diets were equally presented as having the ability to offer health benefits, and both groups were consistently reminded to eat until satiated. Adherence to the ketogenic diet was confirmed throughout the study by measuring blood ketone levels. Each patient that completes the 8-week keto diet protocol was able to achieve and sustain nutritional ketosis. The Results: Is Keto More Effective for Parkinson’s Disease Treatment? As a result of the 8-week dietary protocols, both diets were found to be safe, and both groups experienced significant improvements in motor and nonmotor symptoms. This is great news for any patient who is struggling with Parkinson’s disease. The most promising results, however, are found when we examine the statistical variations between each group. The most striking difference was that the keto diet group showed substantially better improvements in the nonmotor symptoms of Parkinson’s disease (a 41% reduction in symptoms vs. only an 11% reduction in the low-fat group). Every single patient who completed the 8-week keto diet protocol experienced equally significant benefits. More specifically, the symptoms that improved most after keto dieting were urinary problems, pain and other unpleasant sensations, fatigue, daytime sleepiness, and cognitive impairment. These findings are particularly profound because nonmotor symptoms ultimately represent the most disabling aspect of Parkinson’s disease. Furthermore, these specific symptoms are among those least responsive to l‐dopa (the cornerstone of Parkinson’s drug therapy). Altogether, this indicates the combining keto with drug therapy can help treat Parkinson’s disease and its symptoms from multiple angles. Another important finding from this study is that the keto diet provoked an intermittent exacerbation of the Parkinson’s disease tremor and/or rigidity in some patients, which resulted in 2 subjects dropping out of the study after week 1. This adverse effect, however, was improved or resolved in many patients in weeks 5 to 8. The researchers speculate that this brief increase in motor symptoms may have occurred because the abrupt change in fat intake can temporarily increase dopamine depletion and/or oxidative stress in specific parts of the brain involved in Parkinson’s disease. Over time, an adaptive response occurs, and the patients experience a reduction in symptoms. Simply put, Parkinson’s disease patients may need a few weeks to adapt to carb restriction and ketone burning before they experience significant improvements in both non-motor and motor symptoms. The last finding worth highlighting is that the researchers were able to rule out the placebo effect and effects of weight loss as well. Since the magnitude of weight loss and BMI decrease were similar between groups, and the protocol and assessments were applied equally to each subject, the researchers could easily account for the effects that placebo and weight loss may have had in their statistical analysis of the data. That being said, we are left with another important question: What is the mechanism behind keto’s promising results for these patients? Many research groups have theorized that ketone bodies may bypass the pathway in the brain that is disrupted in Parkinson’s disease patients while supporting other vital energy pathways. Ketone bodies have also been shown in animal studies to mend neurons and elicit a potent anti-inflammatory effect on the brain. Altogether, these mechanisms serve as a reasonable explanation for the profound and unique results that dozens and dozens of Parkinson’s patients have experienced after following the keto diet. However, before we claim keto as a potential cure for certain aspects of Parkinson’s disease, further research on ketogenic therapies is needed. At this point, the ketogenic diet should only be considered as a supplementary treatment that has tremendous potential — potential that may be increased with the help of ketone supplements. Ketones have powerful effects in the brain, and they seem to be the main reason for the benefits that many people with Parkinson’s, Alzheimer’s, and epilepsy have experienced while following the ketogenic diet. Although it is best to follow the ketogenic diet, you don’t have to restrict your carbs to raise your ketone levels. Coconut oil, MCT oil, ketone salts and ketone esters can all be used to reliably increase ketones and potentially improve the condition of Parkinson’s patients. The reason why I say “potentially” is because there is not enough clinical evidence to support ketone supplements as a treatment for Parkinson’s disease. However, the existing evidence is promising. For example, one particular study on mice that were administered the exogenous ketone, beta-hydroxybutyrate (BHB), for 7 days found that BHB protected against the structural and functional effects that occur in Parkinson’s Disease. What is also interesting to note is that the animals presented with improvements of the disease even with ketone levels as low as 0.9 mmol/L. Many other lab-based studies also have demonstrated that BHB administration protects neurons and helps to correct the defects seen in the mitochondria that are thought to increase the progression of Parkinson’s disease. Unfortunately, clinical trials on how exogenous ketones impact people with Parkinson’s disease are hard to find at this time. The only evidence of the effects that ketone supplements have on humans (that I could find) are from a few case studies. A recent case study report looked at the use of ketone salts that were given to an individual who has had Parkinson’s Disease for the past 20 years. The participant was measured using an eye tracking device that measures abnormal eye movement, a characteristic in Parkinson’s Disease. The average score for individuals his age is 17, before supplementation he scored 6 on the scale. After supplementation with 10 g of BHB ketone salts, he scored an average of 18 and reported shaking in his hands had stopped. Another similar case study was conducted on a gentleman who was classed as disabled in 2014. After 6 weeks of taking exogenous ketone salts, coupled with intermittent fasting and a paleo-based form of the ketogenic diet, he noticed significant improvements. Before using the exogenous ketones, his rating on the Unified Parkinson’s Disease Rating was that of ¾. Now with the ketone salts, it sits at ½, which is a significant improvement. What is important to note from this case study though made these changes while still taking his standard medication. Anytime he missed his medication, he would report that his symptoms would return. This means that the exogenous ketones are not “curing” the disease, but when given with standard care, it appears to help significantly. Whilst the animal data and now emerging case studies of the use of ketone boosting supplements, it is still very scarce data. With that being said, there is little to no drawback to supplementing with ketone boosting supplements. All of them are reasonably safe and effective, but the most accessible are MCTs and coconut oil, which contain fats that are converted into ketones in the liver. I tend to stay away from exogenous ketone supplements like ketone salts and esters at this point because the ketone salts can decrease the bodies production of ketones and can cause some side effects and ketone esters aren’t widely available. The Takeaway — Should You Use Ketone Boosting Supplements or Ketogenic Diet for Parkinson’s Disease? The current evidence suggests that the ketogenic diet will provide the best results for general health and Parkinson’s disease symptom relief. If a strict ketogenic diet is too much for the Parkinson’s patient, then try increasing carbohydrates little by little to help them find a keto carb limit that allows them to produce ketones while making it feasible for them to stick to the diet for the long term. However, just because the diet is more effective doesn’t mean you should ignore ketone boosting supplements like MCTs and coconut oil. Adding ketone boosting supplements to your daily routine will only boost your results, so feel free to include them in your ketogenic diet. 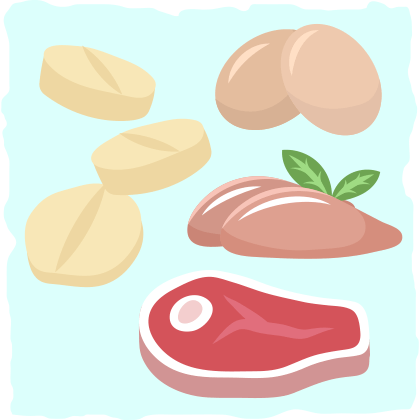 Since the ketogenic diet should be used as an adjunctive treatment for Parkinson’s disease, there are some things we must consider when it comes to certain medications and symptoms. The medication that people are typically on to help with the symptoms of Parkinson’s Disease is called Levodopa. Studies have shown that the intake of protein with the drug can cause it to be much less effective. To keep this from happening during the ketogenic diet, try having your medication 30-60 minutes before a meal. If that doesn’t help, then you may benefit from a protein redistribution diet where you consume most of your daily protein in the evenings (Note: if you are going to proceed with this option, then you should receive help from a trained health professional). Either way, make sure you are getting enough protein to maintain optimal muscle mass and bone health. 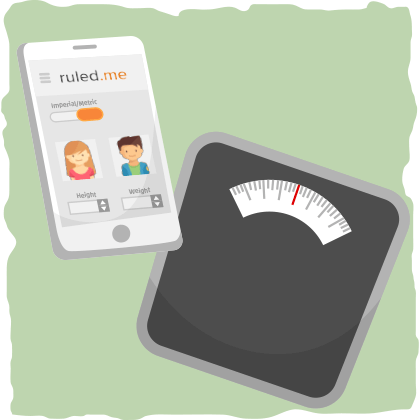 The general recommendation is 1 gram per kilogram of bodyweight, but you can also use our keto calculator to find out exactly what you need to eat based on your age, gender, body fat percentage, and goals. Some individuals with Parkinson’s Disease have also reported that they have developed specific food aversions to proteins such as meats, dairy, and eggs. This could make the selection of foods a little bit trickier. Sometimes a change in the way that the protein is cooked (e.x., scrambled vs. boiled eggs) has been shown to help with this. However, if changing how the food is prepared doesn’t work, you can find other keto-friendly suggestions in our guide to the vegan ketogenic diet. One of the areas that Parkinson’s Disease can affect is the GI tract. This can lead to problems including constipation and the inability to chew and/or swallow foods. If the patient has specific problems with chewing or swallowing, then selecting foods and snacks such as low-carb smoothies, soups, or drinks may be best for them. The medications that people with Parkinson’s disease usually take can cause the side effects of either loss of appetite or an increase in hunger (especially cravings for sweet foods). This can then lead to unintentional weight gain or weight loss — both of which can cause issues to health. As well as looking at the specific macronutrient distribution (fats, carbs, and proteins) of the ketogenic diet, one must also be mindful of the calorie content. Furthermore, as ketone bodies increase, they can elicit a natural appetite suppressing effect so further care must be taken to ensure adequate calories are consumed. Feel free to use our keto calculator to find out how much you need to eat to maintain, lose, or gain weight. Exercise regularly. Exercise is not only essential for a healthy body, but it improves brain function and prevents cognitive decline as well. Eat nutrient-dense whole foods. Whole foods like low-carb vegetables, high-quality eggs, and organ meats are so micronutrient dense that they can help stave off of disease. Whole foods like these should make up the bulk of your ketogenic diet. Take mitochondrial antioxidants. Clinical trials involving CoQ10 have demonstrated that supplementation with very high doses of CoQ10 can help people with Parkinson’s disease. This evidence has lead to more research on selectively targeting mitochondria with antioxidants, so people don’t have to take such high doses. Ketones also serve as mitochondrial antioxidants, so increasing your ketone levels by restricting carbs, fasting, or taking ketone boosting supplements can help as well. Use speech therapy. Speech therapists use breathing and speech exercises to help you overcome the soft, imprecise speech and monotone voice that may develop in advanced Parkinson’s disease. Go to physical therapy. Physical Therapists can help improve strength, walking mechanics, and reduce the risk of falling. Try out occupational therapy. Occupational Therapists can help Parkinson’s patients maintain their independence by teaching them how to do various activities in different ways. Many aspects of Parkinson’s disease are still a mystery. The motor and non-motor symptoms make it a difficult disease to cope with, prevent, and reverse, but there are some ways to help. For example, the use of the ketogenic diet in the treatment of Parkinson’s disease appears to be very promising. There is a lack of clinical data, however, on the practical application of using the diet and ketone supplements for Parkinson’s disease. That being said, there is now a lot of lab and animal work as well as case studies of people implementing the diet for themselves and experiencing powerful effects. Because of the current state of the evidence, it is best to look at the ketogenic diet as an effective supplementary treatment for Parkinson’s disease, used to complement current medications. The strictness of the diet doesn’t seem to matter as much as getting into ketosis does. To find out how to follow the diet and get into ketosis within the next week, read through our comprehensive beginner’s guide to the ketogenic diet. Take ketone boosting supplements like MCT oil and coconut oil every day. Implementing relevant therapies like speech therapy, physical therapy, or occupational therapy that can help with the symptoms you may be having. Accounting for potential issues like protein intake interfering the medication, food aversions, GI tract problems, and unplanned weight changes. Altogether, the combination of the ketogenic diet, Parkinson’s disease medications, and the other strategies listed above will help you or your loved one with Parkinson’s by reducing symptoms and improving quality of life. You might even be able to prevent or slow the progression of the disease, as some animal studies have shown.